Content is no longer only in the marketing department's domain. Content fuels the entire buyer journey, which means that every corner of your organization uses content to fulfill their function, from Marketing, to Sales, to Customer Success. The best way to secure company-wide content buy-in is to cultivate a culture of content. But what exactly does having a 'culture of content' entail, and how can you build one? 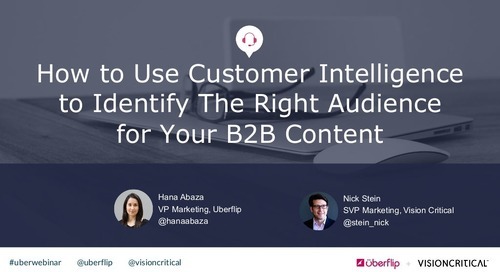 In this presentation, Uberflip's Hana Abaza and TINYpulse's Kevin Nakao share their tried-and-tested tips for creating a culture of content. 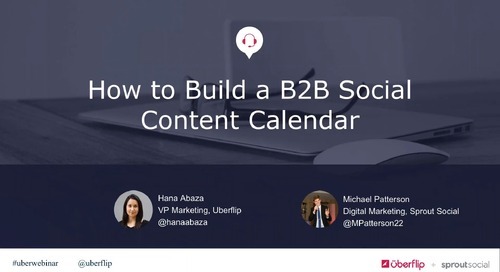 In this webinar, Sprout Social shares tactical tips for how to build a B2B social content calendar.